Though Al Qaeda got the ball rolling on America’s revenge wars in the Middle East 15 years ago by killing several thousand Americans and others in the 9/11 attacks, the terrorist group has faded into the background of U.S. attention, most likely because it messes up the preferred “good guy/bad guy” narrative regarding the Syrian war. In other words, the U.S. government and its allies have smuggled sophisticated weapons into Syria to arm rebels who are operating in support of Al Qaeda’s new military offensive against Syrian government forces in Aleppo. By any logical analysis, that makes the United States an ally of Al Qaeda. 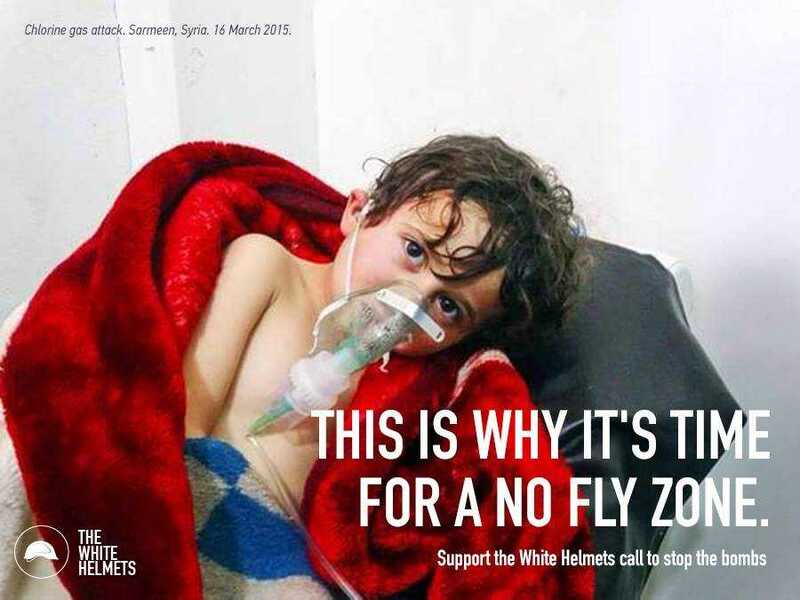 The Times article also includes a quote from Genevieve Casagrande, a Syria research analyst from the Institute for the Study of War, a neoconservative “think tank” that has supported more aggressive U.S. military involvement in Syria and the Middle East. “The unfortunate truth, however, is that these U.S.-backed groups remain somewhat dependent upon the Al Qaeda linked groups for organization and firepower in these operations,” Casagrande said. The other unfortunate truth is that the U.S.-supplied rebels have served, either directly or indirectly, as conduits to funnel U.S. military equipment and ordnance to Al Qaeda. One might think that the editors of The New York Times – if they were operating with old-fashioned news judgment rather than with propagandistic blinders on – would have recast the article to highlight the tacit U.S. alliance with Al Qaeda and put that at the top of the front page. The “human shields” argument is one that is common when the United States or its allies are pummeling some city controlled by “enemy” forces whether Israel’s bombardment of Gaza or the U.S. Marines’ leveling of Fallujah in Iraq or the current campaign against ISIS in the Iraqi city of Mosul. In those cases, the horrific civilian bloodshed, including the killing of children by U.S. or allied forces, is blamed on Hamas or Sunni insurgents or ISIS but never on the people dropping the bombs. An entirely opposite narrative is applied when U.S. adversaries, such as Syria or Russia, are trying to drive terrorists and insurgents out of an urban area. Then, there is usually no reference to “human shields” and all the carnage is blamed on “war crimes” by the U.S. adversaries. That propaganda imperative helps explain why Al Qaeda and its jihadist comrades have been largely whited out of the conflict in Aleppo. 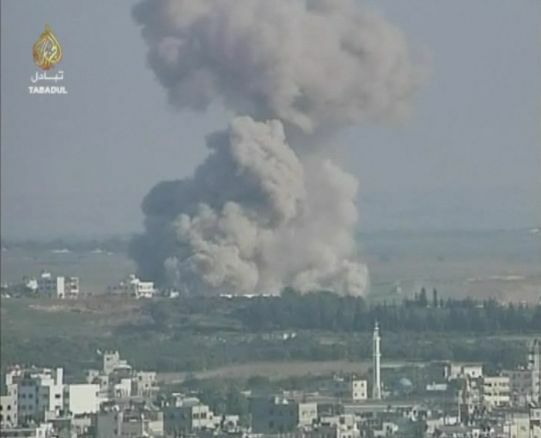 Over the past few years, U.S. regional allies, such as Israel and Saudi Arabia, also have shifted their public attitudes toward Al Qaeda, seeing it as a blunt instrument to smash the so-called “Shiite crescent” reaching from Iran through Syria to Lebanon. 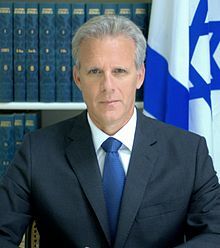 For instance, in September 2013, Israel’s Ambassador to the United States Michael Oren, then a close adviser to Israeli Prime Minister Benjamin Netanyahu, told the Jerusalem Post that Israel favored Syria’s Sunni extremists over President Assad. “The greatest danger to Israel is by the strategic arc that extends from Tehran, to Damascus to Beirut. And we saw the Assad regime as the keystone in that arc,” Oren told the Jerusalem Post in an interview. “We always wanted Bashar Assad to go, we always preferred the bad guys who weren’t backed by Iran to the bad guys who were backed by Iran.” He said this was the case even if the “bad guys” were with Al Qaeda. 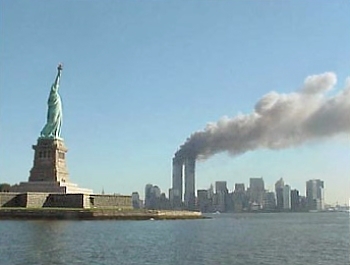 As Israeli officials shifted toward viewing Al Qaeda and even ISIS as the lesser evils and built a behind-the-scenes alliance with Saudi Arabia and the Sunni states, American neoconservatives also began softening their tone regarding the perpetrators of the 9/11 attacks. Across the U.S. foreign policy establishment, pressure built for “regime change” in Damascus even if that risked handing Syria to Sunni jihadists. That strategy hit a road bump in 2014 when ISIS began chopping off the heads of Western hostages in Syria and capturing swathes of territory in Iraq, including Mosul. That bloody development forced President Barack Obama to begin targeting ISIS militants in both Iraq and Syria, but the neocon-dominated Washington establishment still favored the Israeli-Saudi objective of “regime change” in Syria regardless of how that might help Al Qaeda. Thus, Al Qaeda’s Nusra Front and its jihadist ally, Ahrar al-Sham, faded into the background under the fiction that the anti-Assad forces were primarily noble “moderates” trying to save the children from the bloodthirsty fiends, Assad and Putin. Grudgingly, The New York Times, deep inside Saturday’s newspaper, acknowledged at least part of the troubling reality, that the U.S. government has, in effect, allied itself with Al Qaeda terrorists.